Cancer prevention is an important factor in lessening the impact of cancer on the community. Many cancer cases are linked to lifestyle risk factors. Staying active, maintaining a healthy weight, reducing alcohol intake, minimising sun exposure, and quitting smoking are the best ways to reduce cancer. Many Australians underestimate the impact poor lifestyle choices can have. Along with making adjustments to your exercise and diet, significant reductions in cancer risk can be made by quitting smoking and minimising exposure to UV. Smoking is the greatest avoidable risk factor for cancer deaths worldwide. Public health campaigns have changed the general public’s views on smoking over the years, but around 15 per cent of adults in NSW continue to smoke. Reducing the use of tobacco, and helping the community to quit smoking is part of the NSW Cancer Plan. 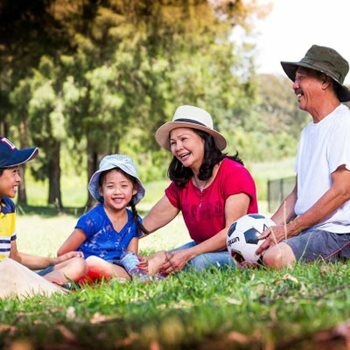 Implementing skin cancer prevention activities to promote sun safety throughout the state is part of the NSW Cancer Plan. Encouraging healthy lifestyle changes across the community to reduce cancer is part of the NSW Cancer Plan.